"True Vision" is the root of the company’s name, but I thought the simple name was boring and not unique enough. I decided to add more meaning to the two words because we switch on our customers’ businesses with our true vision. That’s how I decided on the name True BIZ ON! TrueBizon, ltd. is a UAV (drone) solution consulting firm. Our core competence is the know-how to operate both UAV hardware and its software. We are not just a UAV distributor; we can also provide special educational training programs for mastering the operation of UAVs. Another thing we are working on is developing original software that solves problems the infrastructure industry has when they use UAVs to inspect their facilities. The problem is the difficulty that companies have when they try adopting UAV technology. 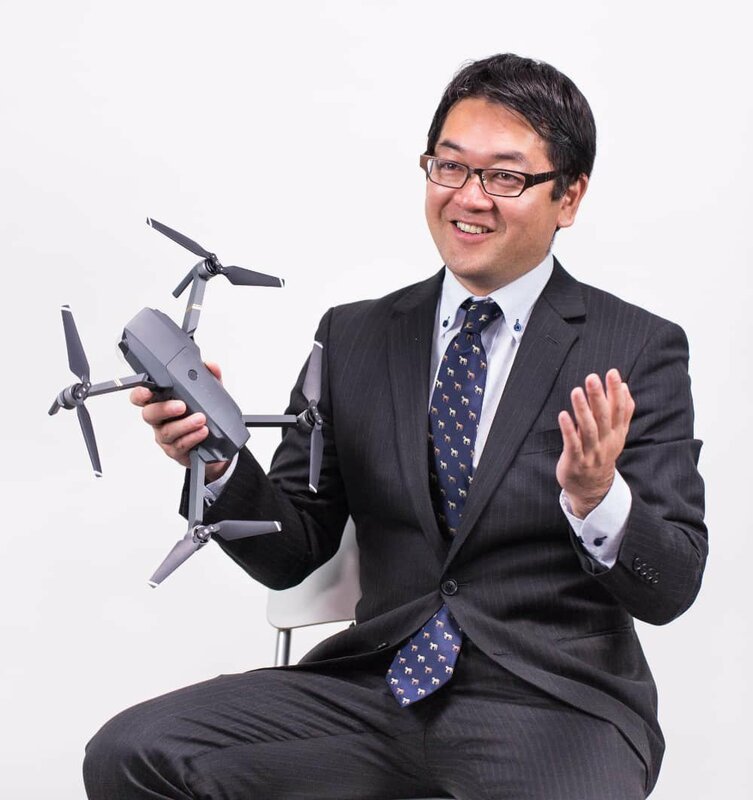 It is so difficult to effectively utilize UAVs for businesses because UAV technology is very new and the regulation for UAVs by the Japanese government is quite strict. There is also the issue that a lot of companies hate to take the risks that come with using UAVs. But that is the dilemma. If they don't use drones like their competitors, they will lose their future markets and new business opportunities. That’s where we come in. We can customize solutions and provide everything our customers need including the hardware and software as well as the necessary training and education. It's so simple. I love Fukuoka. Of course, I also have some more practical factors that impacted my decision. Fukuoka is geographically close to the "big Asian markets." As the CEO, I have various established business networks in Fukuoka. Fukuoka has a great startup ecosystem. I think that it is very difficult for outside forces to develop a community atmosphere within a startup ecosystem. In a big city, entrepreneurs cannot often meet each other. Because a real community is basically formed voluntarily, its members should naturally be mixed in daily life. Fukuoka city is small, and the size is our strength. We can easily connect with each other through meet-ups and study meetings like the ones held at the Startup Café and hosted by Fukuoka City. I believe that Fukuoka has a big opportunity to become one of the biggest startup hubs in Japan because of the community power it has. Fukuoka city prepares several menus for different types of startups. For example, I initially used the Startup Café to collect the necessary information to found my company. After that, I applied to several startup events hosted by Fukuoka City. These opportunities were very useful, and helped me appeal to many potential customers. Finally, I joined some international events with Fukuoka City, for example, Slush in Finland, the IDEAS Show in Taipei, and the Visit & Study Program in San Francisco. These experiences made a huge impact and helped me to fully realize my startup. As the CEO, these visits gave me a lot of chances to improve the ideas that shaped my business. Do you have advice for people considering doing a startup in Fukuoka? Go to designated startup community places (again, like the Startup Café). Meet as many entrepreneurs, investors, and mentors as possible. Make your team and form good collaborations.